Since the group’s inception a month ago, the movement has garnered donations of nearly $300,000 (amidst some arrests). Demonstrations have been held in 70 major cities in the US, and internationally flavored “Occupy” protests have been held around the globe. We were curious who exactly makes up this group of supporters in America, and turned to our Facebook advertising platform to find out who is championing the cause on the social network. 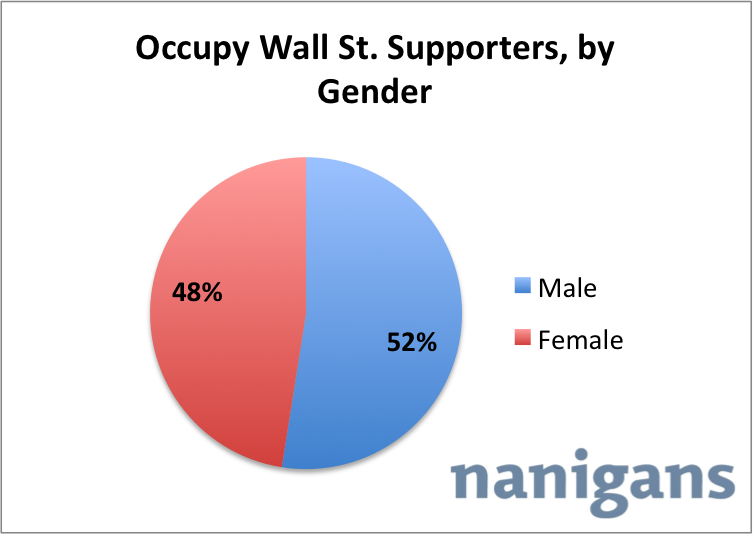 As you can see from the map, the majority of Occupy Wall Street’s support base lives in New York and California, with 14% and 12% of those interested in Occupy Wall Street currently living in these states, respectively. Texas, traditionally a red state, comes in third with over 5% of the movement’s base residing in the state. Florida (4.7%), Pennsylvania (4.6%), Wisconsin (3.9%), Washington (3.9%), Illinois (3.8%), Michigan (3.2%) and Ohio (3.2%) round out the top ten. 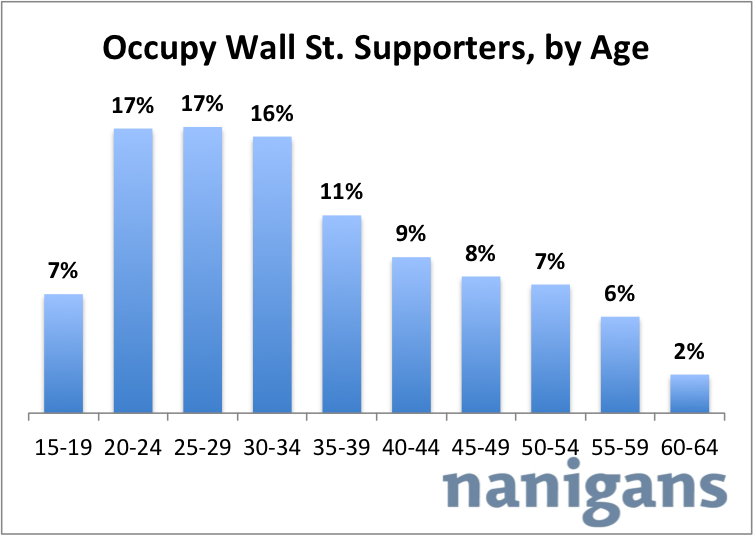 Those states with the least interest in Occupy Wall Street: South Dakota, North Dakota, Wyoming, Mississipi and Delaware. We also pulled Facebook data with regard to relationship status to identify any interesting trends. 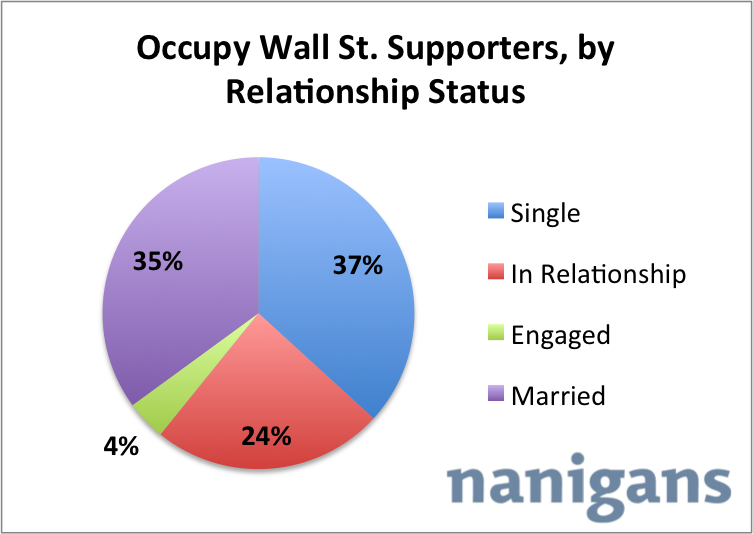 As you might guess given the age breakdown above, the majority (64%) of Occupy Wall Street supporters are single or in a relationship. 39% are engaged or married.